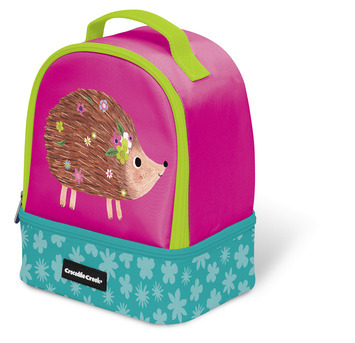 Make school lunches more fun with a Crocodile Creek Lunchbox. This high quality lunch box is sturdy and durable with extra lining to keep food fresh and padding to prevent crushing. There is plenty of storage space to fit a variety of back to school accessories. Simply wipe lunch box with a damp cloth after each use for easy cleaning. Lunch boxes are PVC free, Phthalate free, BPA free, and vinyl free. Recommended for children 3 to 8 years old and is perfect for school, camp, or travel.